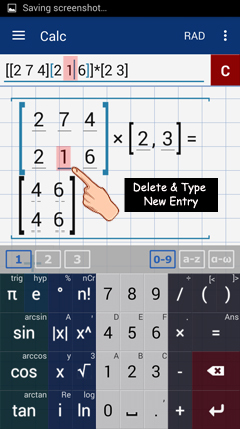 To change the entry of an encoded matrix, tap the entry (or element) on the screen. The cursor in the input field automatically moves to the position of the entry and the underline changes from grey to blue. To change the entry, delete the element and type in the new element.